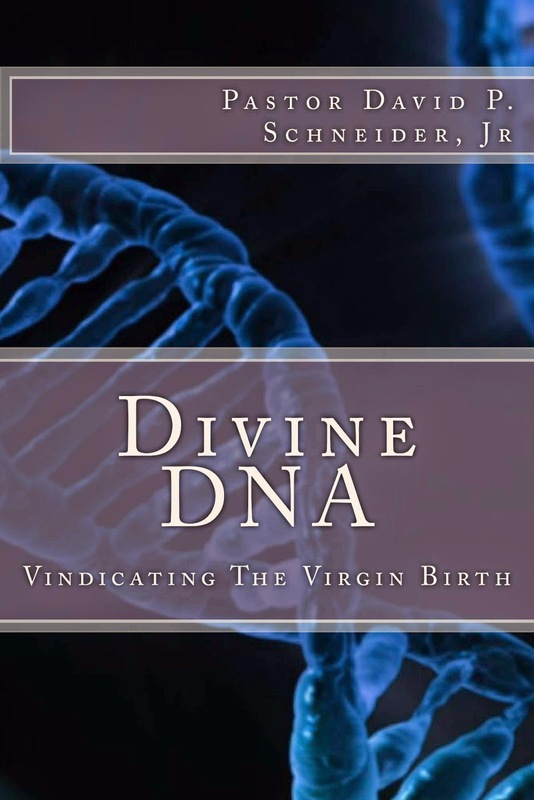 Today we are interviewing Pastor David P. Schneider, Jr., author of Divine DNA, available in paperback here. I am an associate pastor at Living Word Congregational Church in Jeannette PA; president of "Restoring The Faith, Inc."; and also a combat veteran who severed in Iraqi Freedom II. To show that there is no good reason for abandoning the virgin birth. What inspired you to write a book on the historical, theological, and biological aspects of the virgin birth? This book was birthed out of a desire to defend the birth of Christ as it is recorded in Scripture. I believe that the virgin birth is a vital doctrine with eternal consequences. What are some common misconceptions about the virgin birth that you address in your book? (1) There is no reliable evidence like eyewitness accounts for the virgin birth; (2) The virgin birth originated in pagan literature; (3) The Hebrew word “almah” in Isaiah 7:14 does not mean virgin; etc. What was the most interesting thing you uncovered while doing research for this book? Most works that touch on the virgin birth address the theological aspects or maybe the historical ones, but very little if any at all cover the biological aspect. What actually happened in the womb of Mary? Can we determine what happened? Sticking very close to what the biblical record says while also sticking very close to what biology says, I attempt to delineate what most likely happened. Yes, ultimately a miracle happened, but I think we can still understand to some degree the biology of it. Anyone that really loves Jesus Christ. People already celebrate the Christmas season and many honor the birth of Christ, but after reading this book my hope is that many more will honor His birth and do it more seriously.